Our professional lettings service ensures everything is in place for a smooth and trouble-free start to renting out your property. This is a legally binding agreement, setting out the rights and obligations of both Landlord and Tenant. Most residential property is let on an Assured Shorthold Tenancy (AST) for an initial fixed term of 6 or 12 months. We can advise on all options available to help you make an informed decision on areas of responsibility, conditions of tenancy, how and when the rent will be reviewed and notice terms. We will prepare all the paperwork and draw up a comprehensive legal document for signing. All of the inventories produced for Williams Estates clients are independent and contain a full written description of the property, its contents and schedule of condition inside and out including walls, flooring and all fixtures, fittings and furnishings provided with photographic and video evidence. This provides a crucial legal reference in case of any discrepancy or claim against a tenants’ deposit at the end of a tenancy. Inventories are charged separately and according to the size of the property and whether its furnished or unfurnished. Please contact us for more details. Usually, it’s the tenant’s responsibility to pay utility bills and council tax. We can organise all meter readings and arrange the transfer of water rates, gas, electricity, telephone, TV licence and Council Tax accounts to the tenant. A deposit is paid by the tenant at the start of the tenancy to safeguard against damage. Since April 2007, all new Assured Shorthold Tenancies must be registered with a government-backed tenancy deposit protection (TPS) scheme within 30 days of receipt of the deposit. We normally collect a deposit from the tenant which is equal to one month’s rent. Williams Estates is registered with the Tenancy Deposit Scheme which means your tenant’s deposit will be held by the Tenancy Deposit Scheme for the duration of the tenancy. We will register deposits on your behalf and liaise with their dispute service should the need arise at the end of the tenancy. We will also provide your tenant with the name and contact details of the TDP scheme and its dispute resolution service, which is a legal requirement. You should provide at least one set of keys for each tenant. Where we will be managing the property for you, we will also require a full set which will be coded for security purposes. We can arrange to have duplicates cut. "Friendly, professional, knowledgeable and effective is how we find all the Team at W.E. Everything a landlord requires of their agent and more. Thank you to you all and highly recommend "
Unfortunately we do not have enough data to give you an accurate valuation. Your local Williams Estates property expert will be in touch to arrange an accurate valuation taking into account improvements to your property, the local market and more. Or arrange a valuation now by clicking here. 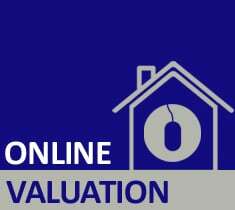 Whilst this instant valuation provides a guideline, your local Williams Estates property expert will be in touch to provide a more accurate valuation taking into account improvements to your property, the local market and more.